Verizon is launching a 5G-branded fixed wireless home broadband service that is initially based on the company's Verizon Technical Forum standard rather than 3GPP's 5G New Radio specification. The broadband service will be available in four markets at first. Verizon has detailed plans to upgrade related sites with 5G NR-compatible equipment and is also planning a mobile 5G service for 2019. On the other side, AT&T is touting its plans to make standards-based mobile 5G available in a dozen markets by year end with more growth on tap for 2019. Both carriers are using millimeter wave spectrum for their 5G rollouts. "Regarding the competition, I can't really comment on their strategy but they really seem to be fixated on fixed. It really appears to be this sort of tale of two cities. 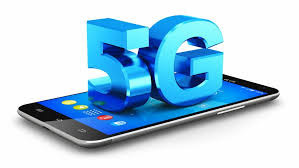 At AT&T we're all about 5G mobile, standards-based" , said Andre Fuetsch, president of AT&T Labs and the company's chief technology officer, who didn't mince words in a meeting with reporters during Mobile World Congress Americas in Los Angeles. He characterized competitor Verizon's 5G Home service, which gained significant share of voice during the show, as "homegrown" and "proprietary. ".